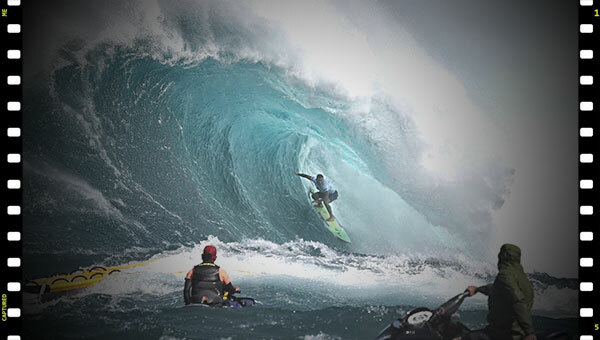 Pe’ahi, Maui/ Hawaii (Tuesday, November 27, 2018) – Today, Maui’s own Billy Kemper (HAW) won the Jaws Challenge at Pe‘ahi, one of three stops on the World Surf League (WSL) Men’s Big Wave Tour (BWT), for the third time in his career. Competition resumed with Round 1 Heat 2 after being called off yesterday and Kemper picked up where he left off to set today’s tone with more exhilarating performances as he battled back and forth with Kai Lenny (HAW) in the Final. “Yesterday was probably the most radical day of surfing competition and I’m glad I got to kick that day off and got to end this event,” Kemper said. “This is for my mom and if you’re looking down on me right now mom, this one’s for you. There’s so much behind the calm, collective, and seriousness. Less than a month and a half ago I was sitting in Los Angeles getting MRIs wondering if I’d be able to surf this winter. I tore my labrum, my abductor in my hip and I’d been training for four months straight with Kahea Hart and my nutritionists. Kemper is one of the most dedicated big wave athletes on the BWT and trains seven days a week both in and out of the water. His focus includes nutrition, heart health, mental training and physical aptitude. This marks a career-defining win for Kemper, his third BWT win on home turf, and continues to show he is the one to beat at Jaws. Kemper’s ability to hunt down some of the heaviest waves and attack the barrels on offer separated him from the rest of the competition — claiming the victory with a brilliant 23.84 (out of a possible 30) heat total. Kemper now heads back to Oahu to continue his big wave brilliance and compete in Day 2 of the Vans World Cup of Surfing at Sunset Beach, which saw the largest swell of the season hit the North Shore over the past two days. Contest organizers called stop No. 2 of the Vans Triple Crown of Surfing off yesterday and today due to unruly XXL conditions at Sunset, which gave Kemper the opportunity to compete in the Jaws Challenge at Pe’ahi and bring home another trophy. Jaws turned on for an exciting start to kick off the Final with nearly all six competitors getting a wave. Lenny’s barrel stole the show of the first exchange, garnering an excellent 8.33 — a 16.66 (out of a possible 20) when doubled as his best score — with the youngest competitor among them, Maui’s Tyler Larronde (HAW) right behind him accruing an 8.03. But, Kemper took off deep and lined up for a barrel of his own, beating a heavy section and nearly riding out on his feet before the whitewater swept him as he exited. He earned a 7.70 for the ride, however Lenny wasn’t done and showed his control on a highline turn that put him back in the lead with a 6.90. Kemper’s apt for the barrel locked him in one last opportunity and he expertly navigated two sections before flying out once more, this time without his board, albeit judges awarded the wave an excellent 8.07 and the ultimate victory. The remaining 25-minutes witnessed a few more scoring opportunities from Albee Layer (HAW) and Grant Baker (ZAF), but neither found the points needed to overtake the top spot — finishing third and fourth, respectively. Koa Rothman (HAW) couldn’t get into rhythm after his heavy wipeout to start the heat and ended with a sixth-place finish. One of the day’s standout performers, Larronde, missed out on the Jaws Challenge last season, but earned redemption today with a third-place finish after starting the morning off with a horrific wipeout. The young Maui-competitor won a stacked Round 1 Heat 4 bout that included World Champion Greg Long (USA), one of Big Wave’s fiercest competitors and defending Jaws Challenge winner Ian Walsh (HAW), alongside chargers Jamie Mitchell (AUS) and Francisco Porcella (ITA). He carried that momentum into a last-minute Final spot after going from fourth to third-place in his Semifinal heat, eliminating Long, Walsh, and Aaron Gold (HAW). Kemper joins Keala Kennelly (HAW) as 2018 event champions after Kennelly’s first-ever BWT win yesterday in incredible 30-to-50 foot conditions. The women charged fearlessly and tackled death-defying drops and horrific wipeouts to take center stage and crown Kennelly after a sensational showdown. The 40-year-old’s bravery led the charge as she and fellow competitors pushed the envelope for big wave surfing. The Hawaii-competitor didn’t back down in either her Semifinal or Final heats, keeping Andrea Moller (BRA), Emily Erickson (HAW), and reigning BWT World Champion Paige Alms (HAW) at bay.